Let us not mince words; the national ‘flag’ carrier Air India, has landed us in a situation of national shame. 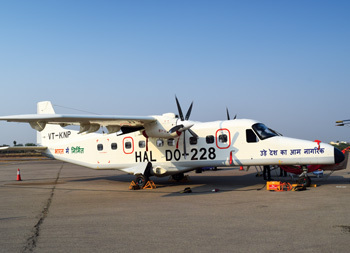 It was with the second wave of liberalisation in the Indian civil aviation industry that commenced in 2003, that Air Deccan set the Low Cost Carrier (LCC) bandwagon rolling. Thereafter, internal financial efficiency became the core of an airline’s survival in what emerged as a fiercely competitive market space. Nurtured on an inherently inefficient public sector organisational culture, Air India, which continued to adhere to its full service legacy model, was doomed to a sordid end. It could not shed the legacy model because its clientele was largely governmental, accustomed to benefitting from freebees, upgrades and largesse of all kinds. Its internal inefficiencies and public sector culture, compounded by some bizarre decisions related to aircraft acquisition and other policies such as pulling out of lucrative international routes, merging the international carrier Air India and the domestic carrier Indian Airlines and so on, led to a steady and inexorable downfall until, in 2012, the central government was forced to approve a turnaround plan amounting to 30,231 crore over a ten-year period. The tax payer, whose money was financing this disgraceful attempt at investment in an inept organisation without changing its work culture and functioning, remained largely unaware of the implications. However, after the bulk of that huge amount had been paid, the current NDA government realised the folly of pouring in good government money after bad and decided to disinvest in Air India. Debate on Air India disinvestment though has been going on for more than two decades and the failed attempt to disinvest it earlier this year, was just an anticlimactic episode in an ongoing saga yet to reach its culminating point. Currently, Air India has a fleet of 119 aircraft. Its subsidiaries Air India Express has 23 and Alliance Air has 15 aircraft according to their official sites. According to the DGCA website, Air India has a 17 per cent share of traffic on routes linking India to international destinations. and in the domestic segment, in July 2018, the national carrier had a 12.4 per cent share of the domestic market, placing it in the third slot behind IndiGo with 42.1 per cent share and Jet Airways with 13.6 per cent. Air India is barely ahead of SpiceJet that is at 12.3 per cent market share. Air India is a part of the world’s biggest airline grouping Star Alliance and has prime slots at airports across the world along with land banks and buildings, among its assets. However, on balance, it has a huge debt of more than 50,000 crore and a recurring annual loss of 5,000 crore. Pilots’ salaries are in arrears as also the airline is on the verge of defaulting on bank loan repayments and some dues to vendors outstanding for some time now. It has the highest cancellation rate and the highest customer complaint statistics amongst all domestic airlines in India. Several aircraft are reportedly unserviceable and so operations are likely to be affected adversely as we move ahead. It has performed at the lowest level amongst the public sector enterprises whose productivity is low in general. In June last year, the government, despairing of a turnaround, had decided to grant approval in-principle for the strategic sale of Air India and its subsidiaries and this process is being monitored by Air India-Specific Alternative Mechanism (AISAM) headed by Finance Minister Arun Jaitley. The challenge before the government lay in securing a strategic disinvestment coup wherein this huge accumulated loss would be packaged off to the buyer or buyers, along with its profit making subsidiaries Air India express, a low cost international carrier and AI-SATS, a ground handling company. 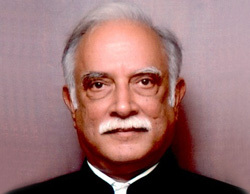 At the beginning of this year, the then Minister for Civil Aviation, P. Ashok Gajapathi Raju, had publicly admitted that Air India’s debt may turn out to be far more than 50,000 crore if subjected to close scrutiny. The Minister had hinted that the debt figure could be around 70,000 crore. The expectation was that the overall sale would somehow get this sizeable debt off the government’s and the tax-payers’ back through the bundling. However, as finding a single buyer entity for such a large and tangled bundle, would itself be a challenge, the government had decided to favour the option of disinvesting the airline in four packages. The Minister also said that Air India would be offered to potential buyers as four different entities — Air India, its low-cost arm Air India Express and subsidiary AI-SATS would be one entity, while the regional airline Alliance Air would be a separate entity. Apart from these, Air India Air Transport Services Ltd (AIATSL) and Air India Engineering Services Ltd (AIESL) would be sold separately. The government had also relaxed ownership rules and allowed foreign ownership of up to 49 per cent in Air India. Consultancy firm Ernst & Young had been appointed as transaction advisor for Air India’s strategic sale. The proposed disinvestment plan generated feeble interest as the treatment of the nearly 50,000 crore debt was not clearly defined. 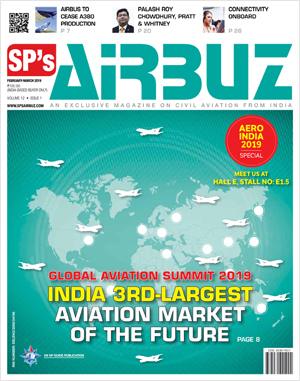 Kapil Kaul, CEO (South Asia) at CAPA Centre for Aviation had predicted that, “No major Indian corporation from outside of aviation will invest in such a complex project without an experienced strategic partner.” Despite a high expected final cost of the acquisition, some Indian aviation entities singly or in conjunction, were expected to be in the bidding run. However, InterGlobe Aviation Ltd which operates India’s largest airline IndiGo, had submitted a letter showing interest the day the disinvestment plan was announced. Later, the company stated that it was only interested in Air India’s international operations. Besides IndiGo, Jet Airways, SpiceJet and Vistara were reported to be keen in buying a stake in Air India. 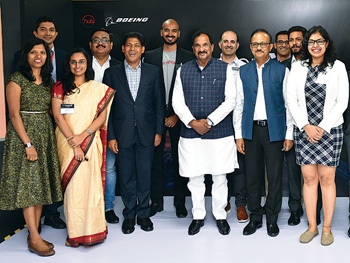 Aviation companies SATS, Bird Group and Celebi had shown interest in acquiring Air India’s ground handling unit AI-SATS. However, the interrogation mark over the funding dilemma for such a huge valuation company, remained dominant as did the question of what would happen to the large debt burden of Air India. The decision of the government to allow 49 per cent Foreign Direct Investment (FDI) in Air India with the proviso that substantial effective control would continue to be vested with an Indian national, did make the potential buyer base larger. However, concerns were raised over the decision not to give management rights to foreign investors willing to invest in Air India, inasmuch as this decision was likely to affect the foreign investment process for the airline. Harsh Vardhan, Chairman of Starair Consulting reportedly said that, as Air India was facing a management crisis, if the government did not give management and operational rights, nobody would come to invest in an airline on the verge of collapse and with a huge debt burden. Some other aviation experts had also pointed out that a turnaround was possible only if the management was totally supplanted so that professionalism would replace the current inefficient functioning of the airline. So what lies ahead? Given the impendency of the 2019 General Elections, it is unlikely that the government led by Prime Minister Narendra Modi would risk another attempt at disinvestment before the national elections in 2019. Already a 11, 000 crore bailout package is being finalised at the time of writing this. If BJP comes to power again, it is likely that foreign investors may be kept away and a “swadeshi” character is retained for Air India. 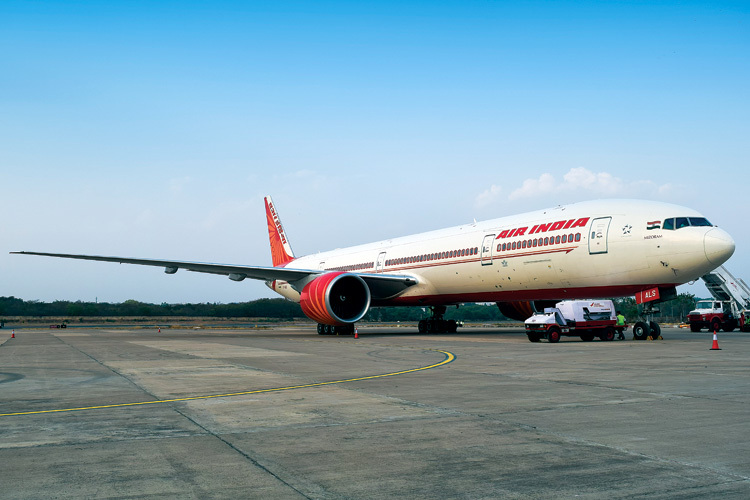 In the wake of the failed disinvestment bid, Rajiv Kumar, Vice Chairman, NITI Aayog had stated that the government was committed to turning Air India around and running it professionally. More recently, he has reiterated that Air India should be made profitable before it is privatised so that the government can fetch a better value for it. There is no doubt that privatisation will improve Air India performance as after leaning the work force, productivity may be expected to improve although the new management will need to work really hard to get the work culture to change and improve to come up to private industry level. The nation has paid over the past years for Air India and will probably pay some more during the process of disinvestment; but after a change in the management in the future, the existing losses can be expected to reduce or even disappear. However, the shame of having failed to make the national flag carrier a successful business enterprise, will remain for some years to come.